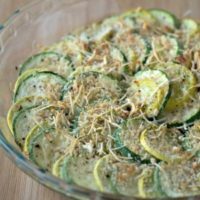 This quick and easy Zucchini and Summer Squash Casserole is a quick and easy recipe that is perfect for the holiday season! I love zucchini because it is easy to find and quick to make. The recipe is made with green zucchini and yellow summer squash, which combine to make a pretty contrast and make the dish look fancy. 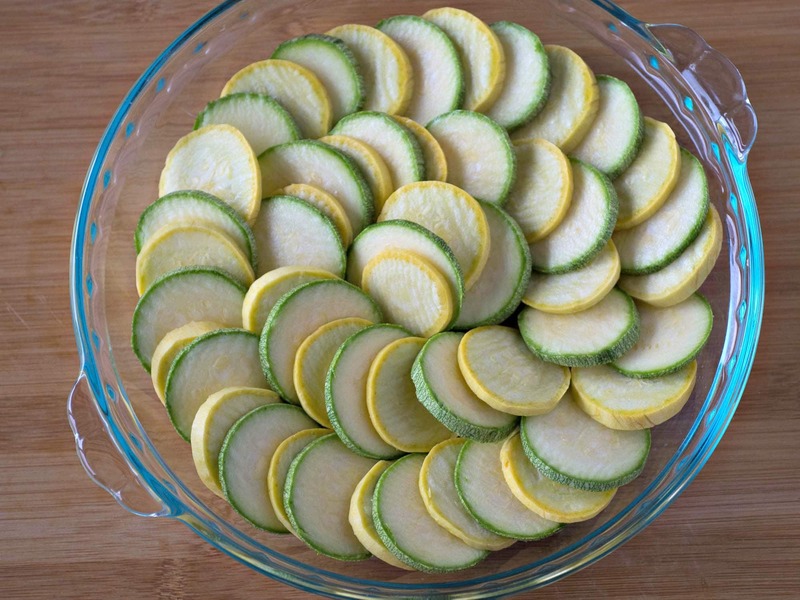 I alternated the zucchini slices in concentric circles in a glass pie plate. 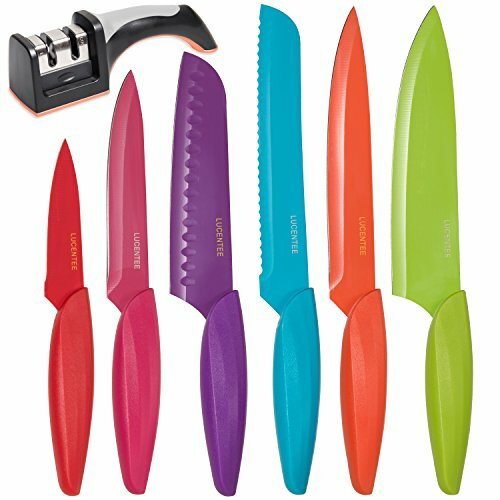 Of course you could use just one color of squash but using both colors makes this perfect for a fancy dinner, like Thanksgiving. I sprinkled the veggies with salt, pepper, Parmesan cheese and bread crumbs and baked them. 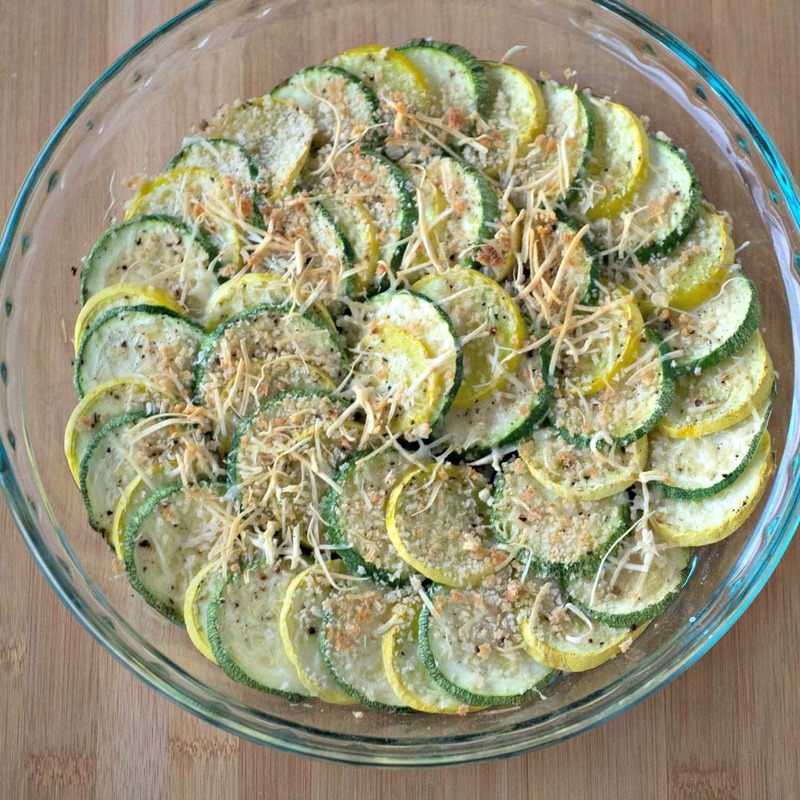 Even with layer the zucchini in circles it still only took a few minutes to put this side dish together. 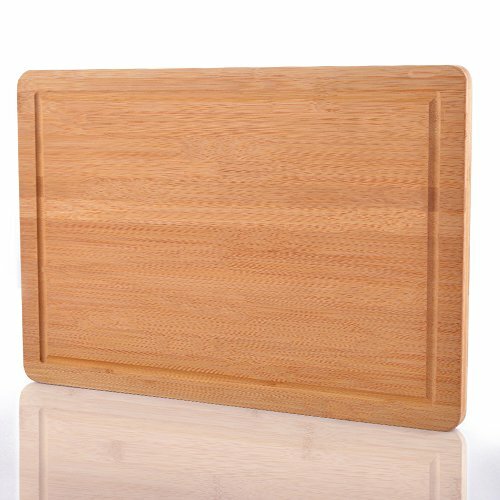 The result is a casserole that is an attractive and tasty way to serve some healthy vegetables. Zucchini and summer squash are baked together for a tasty vegetable side dish. 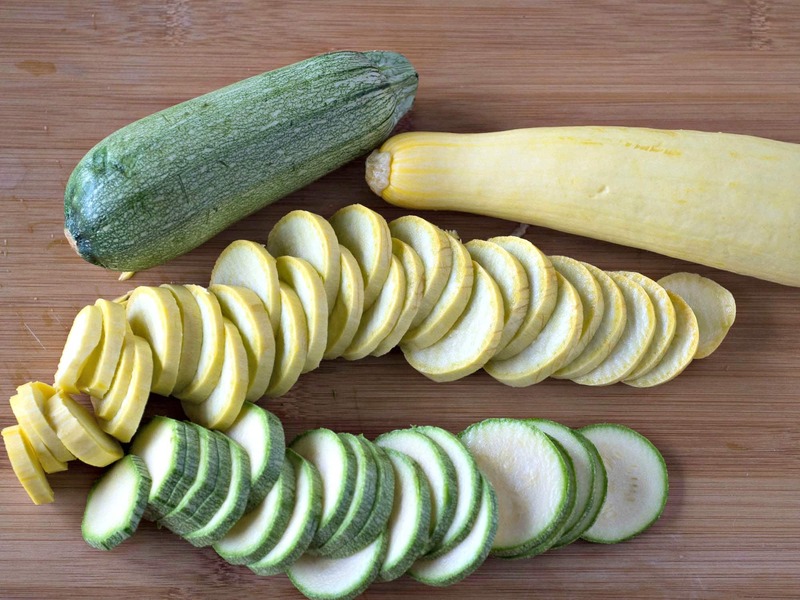 Wash the zucchini and summer squash and slice into 1/4 inch thick slices. 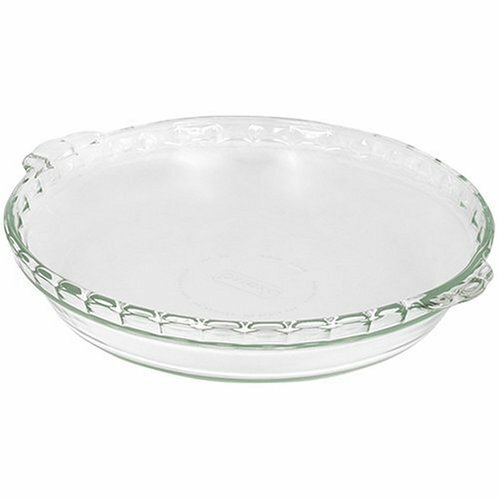 Arrange the slices in concentric circles in a pie plate, alternating yellow and green slices. 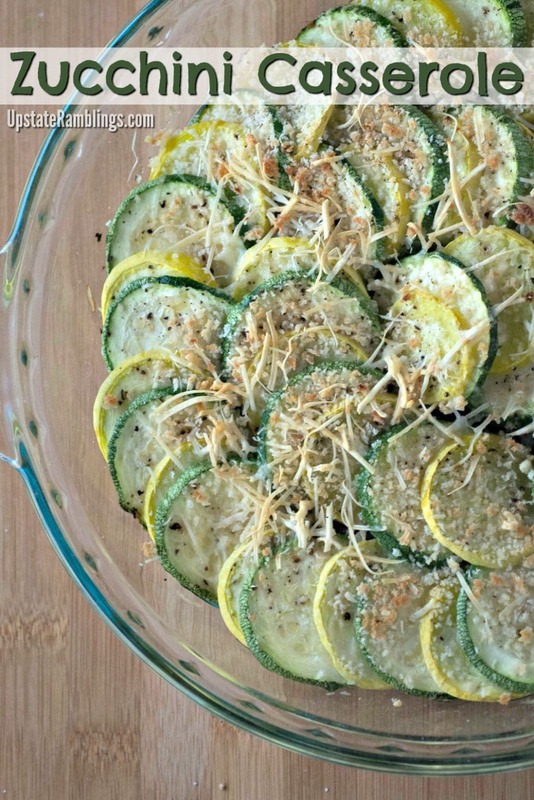 Drizzle the slices with olive oil, then sprinkle with cheese and bread crumbs. Grind salt and pepper on top of the casserole. Bake uncovered for 25 minutes until the top is lightly browned. If you love zucchini as much as I do check out these other recipes for Zucchini Tuna Boats, Zucchini Sausage Casserole, Zucchini Bread and even Zucchini Chocolate Cake!